Home » Mattress Reviews » Best Mattress for Stomach Sleepers: What is the Best Stomach Sleeper Mattress? Best Mattress for Stomach Sleepers: What is the Best Stomach Sleeper Mattress? In this review, we shall be discussing the attributes needed in the best mattress for stomach sleepers. Stomach sleeping, otherwise known as belly sleeping, is not the most popular way of sleeping. In fact, many experts recommend against sleeping in this position. It’s not our purpose here to comment on that one way or the other but to suggest the top six mattresses for stomach sleepers. If you sleep on your stomach it is important that your mattress offers a good balance between core support and surface softness, or ‘give’ so that your belly is properly supported without being squashed. Each of our six best mattresses for stomach sleepers enables you to breathe normally without feeling any restriction when lying on your front. Here are our top six picks along with our opinion of the best stomach sleeper mattress. * SP Refers to a Special Proprietary or Patented Foam. 1. Helix Sleep Mattress for Stomach Sleepers: Top Choice Personalized Just for You! 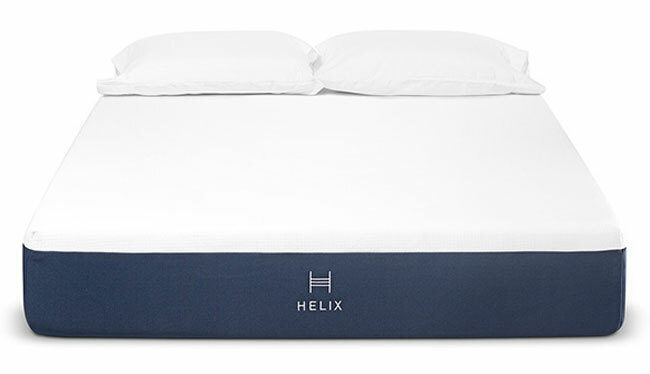 Helix Sleep is based in New York, and its mattresses are manufactured in the US. It is unique in that when you order you must fill in an online questionnaire or quiz. Among other factors, this includes questions on your sleeping position. 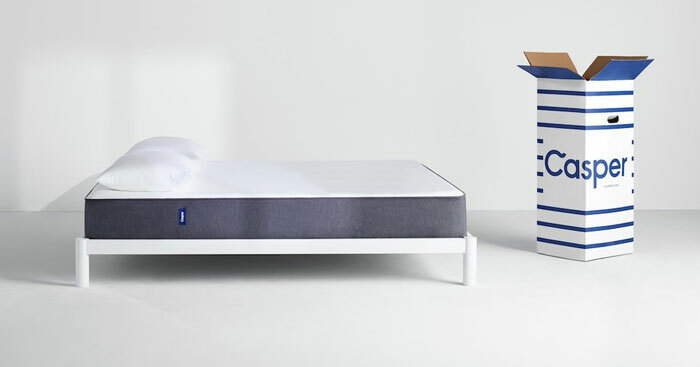 Helix Sleep then uses that information to design your mattress specifically for you. If you and your partner sleep differently – such you are a stomach sleep and your partner sleeps on their side or back, each side of your mattress can be designed separately to best accommodate both sleeping positions. You fundamentally have two beds rolled into one! The relative thickness and placement of these layers will depend on the results of your quiz. They will be designed to meet the individual needs of each customer. Depending on your personal needs there could be a significant variation in the thickness of each layer. This could vary by up to 4 inches between different customers. Helix Dynamic Foam: This is a proprietary synthetic foam, the composition of which is not revealed. It feels like latex while possessing some of the properties of memory foam. Its motion transfer is very low, just like memory foam but it has more bounce. You don’t feel like you are being enclosed by the foam. 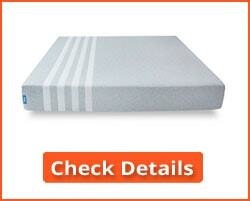 Your mattress is designed specifically for you according to your answers to the questionnaire. It combines the benefits of both Latex and memory foam. It offers maximum support for belly sleepers and helps keep the spine straight. Adaptable to needs of partners who sleep in another position and need good support for their pressure points – hips, shoulders, etc. Offers support for front sleepers without restricting their breathing. 100-Night sleep trial – if you don’t like, return it for a full refund. 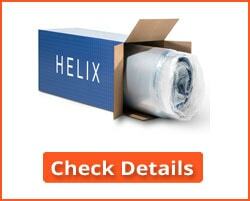 It is difficult to find any negatives to the Helix Sleep mattress for stomach sleepers. If any, it could be that it may not suit those that prefer 100% memory foam mattresses. However, such mattresses may not be as suitable for belly sleepers as this one is! Editor’s Notes: The Helix Sleep Mattress is built to meet the needs of each individual customer. Not just that, but you and your partner can have constructions side by side on the same mattress. This is a unique way of meeting the needs of two people who sleep in different positions. 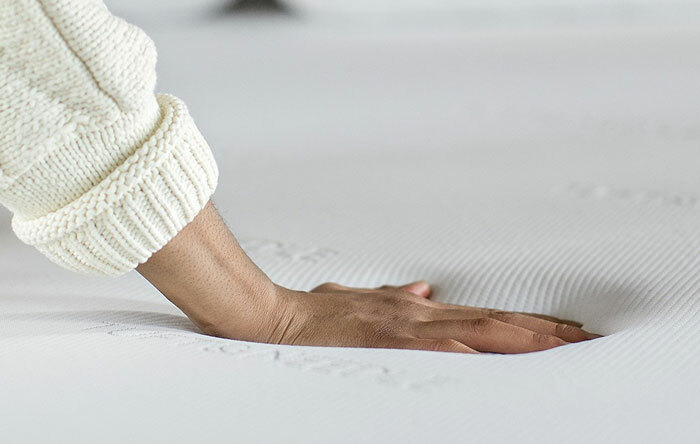 The company puts your mattress together using your quiz answers so that it is as near perfect as it could be for your sleeping position, temperature regulation, support and comfort – all of which are important to stomach sleepers. Because the Leesa mattress is good for most sleeping positions, it is an excellent choice for couples who sleep in different positions. If you are a belly sleeper, and your partner sleeps on their back or side, then this is a good choice. Almost as good as the Helix Sleep mattress above, and some people may think it better. Top Layer: a 2-inch layer of proprietary Avena® foam. This is a patented foam that is used as an alternative to latex. It permits a good flow of air through this top layer to keep you cool throughout the night. It also has enough bounce to enable you to move freely, unlike some latexes and memory foam. Middle Layer: A 2-inch layer of memory foam. This contours to your body, making the top layers of this mattress ideal for stomach sleepers. They offer comfort to the pressure of your belly and chest while keeping them cool while you sleep. The density of this foam is slightly less than the top layer (3 Lb/Cubic Ft vs. 3.65 PCF). Bottom Layer: This is a 6-inch thick foam support base. Its density is 1.8 PCF. This construction provides good support for your stomach at the top of the mattress plus good cooling properties. The central layer allows a good level of compression to support your body while lying front-down, while the bottom layer of foam provides a good solid base. This means good support for stomach sleepers, while also being suitable for side and back sleepers. Suits all sleeping positions – so stomach sleepers can share the bed with side and back sleepers. Breathable to keep you cool at night. 100 night sleep trial – don’t like then return it free for a full refund. Few people take advantage of the 100 night trial – the huge majority keeps the mattress. Few complaints, though a very few make reference to the chemical smell once the mattress is unpacked. It should be noted that the vast majority of foam mattresses emit a chemical odor for a while after unpacking, and it may take two or three days for it to dissipate. This is normal. Editor’s Notes: The Leesa mattress is the best of the standard type of mattress that does not offer the type of personalization provided by the Helix Sleep mattress. It is an excellent choice of mattress for stomach sleepers because of it contours slightly to your body, offers good core support and helps prevent the flattening of your belly while you sleep. It is good for all types of a sleeper, so stomach sleepers need not worry if the mattress that suits them best would also suit their partner. The Purple Mattress is the new kid on the mattress block. This US-manufactured mattress is engineered to relieve the pressure on your body while you sleep – and even when you are not sleeping! 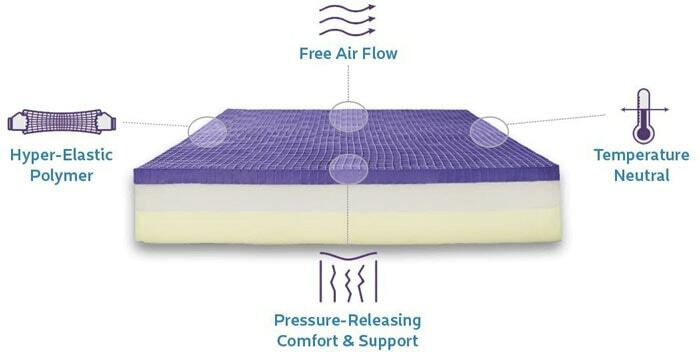 Its combination of pressure-relief and support makes the Purple mattress a favorite with many people. Its box-grid design is intended to offer the support needed by a stomach sleeper without the heat of a memory foam. If you don’t like memory foam then this would be a good choice for you. It claims to last longer than latex mattresses, and its user reviews tend to support this. Top Layer: A 2-inch thick layer of Hyper-Elastic Polymer™ material in the Smart Comfort Grid™ construction. That is a grid of foam with air taking up the square spaces between the bars of foam. This top layer provides the comfortable but not too soft top needed by belly sleepers, while the boxes of air keep it cool while you sleep. It is temperature neutral and keeps you warmer on cold nights and cooler on hot nights. Middle Layer: A 3.5-inch layer of polyurethane foam with a density of 1.8 Lb. This layer is CertiPUR-US certified to be free of ozone depleters, heavy metals and other potentially toxic materials. It provides a good base for the softer and cooler layer above it. 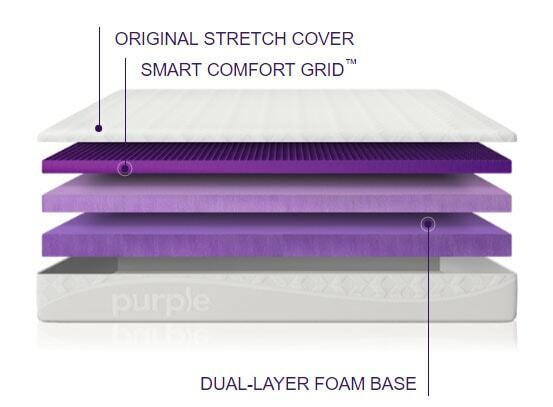 Bottom Layer: The base layer of the Purple mattress is 4-inch thick polyurethane foam of 2 Lb per cubic foot density. This is again CertiPUR-US certified. While not too solid, the 2 Lb density foam provides the support that is needed to be included in our best mattress for stomach sleepers review. Generally, the Purple Mattress is an innovation and a breath of fresh air in the mattress world. It takes a different look at how a mattress should be constructed, and that happens to be one that suits stomach sleepers almost perfectly. It comes with a 10-year warranty and a 100-day sleep trial, as those above also offer. The Purple mattress top layer helps you keep cool very effectively, while not leaving you shivering on cold nights. Helps keep the spine straight – ideal for belly sleepers. A comfortable sleeping surface, and one of the best mattresses for stomach sleepers we have tested. 100 night sleep trial after which you can return it for a full refund. Breathable fire retardant stretch cover containing 4% Lycra. Some complaints about the mattress being unsuitable for side sleepers due to it sinking too much. That is irrelevant here because it is ideal for stomach sleepers. Editor’s Notes: The Purple mattress deserves its position here as one of the best stomach sleeper mattresses because it is designed to keep you cool, while also being able to support the area of your stomach. It does this by allowing your belly to sink slightly into the mattress while also supporting your knees and chest and other parts of your body when you are sleeping. 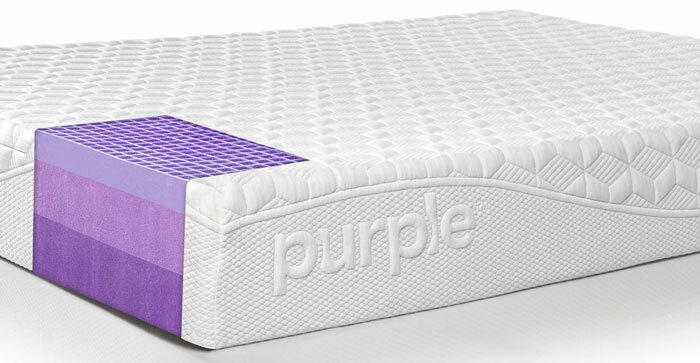 The Purple mattress is a highly rated mattress, and it deserves its #3 position here. 4. WinkBeds Mattress – Good Support for Stomach Sleepers! The WinkBeds mattress is available in three different softness/hardness levels. Stomach sleepers need a firmer than average surface that is still comfortable. 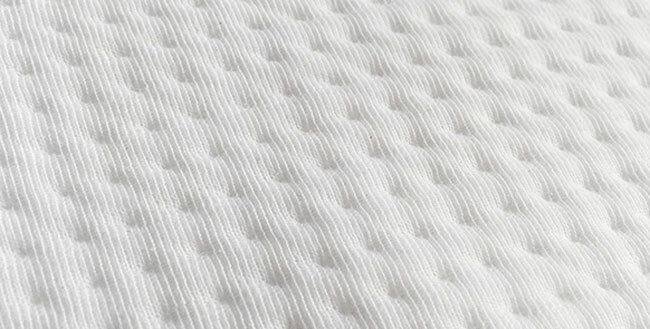 This mattress has a soft thin top layer with a firmer layer just below it. The top layer should offer comfortable support for the stomach without compressing it too much. However, another important aspect to consider when choosing the best mattress for stomach sleepers is the pressure on the chest. This is more important for women than it is for men. When sleeping front down, you do not want to feel excessive pressure on your chest. The Winkbeds mattress prevents this with its intelligent structure. It is 14.5 inches thick. Top Layer: The top layer of the Winkbeds mattress is just 2 inches thick. It is a Euro pillow top style of foam, combining hypersoft foam and gel foam that offers both comfort and a cooling effect while you are sleeping. Second Layer: A 2.5 inch layer of small pocketed steel coils encased in foam. While the foam layer above it supports the stomach without excess pressure on the chest, these coils provide support to that layer. Not only do the individual coils provide support to the pressure points lying on them, but they also help to keep the mattress and you cool – and help to prevent your spine from bending. Third Layer: This layer is a 4-inch thick high density foam edge support system. It enables you to sleep right to the end of the mattress, and also to sit on the edge, without it sagging down or collapsing. Fourth Layer: The 4-inch fourth layer is again made using individually pocketed steel spring coils. These provide you with support throughout the night and help reduce noise when you move around on the bed. This is the core support layer. Fifth/Bottom Layer: This 2-inch foundation layer provides excellent support no matter what your weight is. It enables your body to get good overall support while the previous layers conform to your body shape and weight. These various layers combine to provide a stomach sleeper with a high level of comfort for their belly and their chest. The pocketed coils ensure that you get support where it is needed, while the top layer provides the basis for the comfort where you require it. What should be noted is that the coils themselves are zoned in the structure of your mattress. The central third of the mattress is fitted with stronger steel coils to hold the heavier parts of the average body. 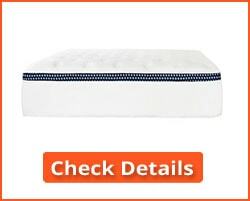 This is an excellent mattress for stomach sleepers and one that you should at least consider and have a closer look at. Good looking 5-part structure incorporating both foam and steel coil layers. Absorbs pressure on your chest – an issue that many stomach sleepers have to deal with. Good edge support – if you want to sit on the edge of your bed. Designed to keep you cool at night. Eco-friendly Tencel cover, breathable and quilted with a type of responsive foam. Very few complaints about this mattress. Some think it too hard, and others too soft. Editor’s Notes: This appears to be a very well constructed mattress. It is suitable for all types of a sleeper, although it does appear to be well suited to stomach sleepers where the spine has to be kept straight. The combination of various foam and pocketed steel coils has created a mattress that most people will love. The Casper mattress is manufactured in the USA and was designed by the company in San Francisco. The 30-strong Casper R&D team holds over 50 patents between them and is constantly seeking to improve the product and responding to customer comments. Top Layer: A premium type of open-cell latex foam that keeps you cool at night, and also provides a good level of bounce. This is 1.5 inches thick. Second Layer: A 1.5-inch layer of memory foam designed to leverage airflow, providing the benefits of memory foam with extended cooling. Third Layer: This is a 1.5 inch transition layer of high density memory foam which offers good support for your pressure points. This layer is split into two zones – softer from above the hips and harder at and below the hips to provide both comfort and support where needed. This is an ideal construction for a stomach sleeper. Bottom Layer: This is 5 inches of high density foam to provide good core support to the mattress. 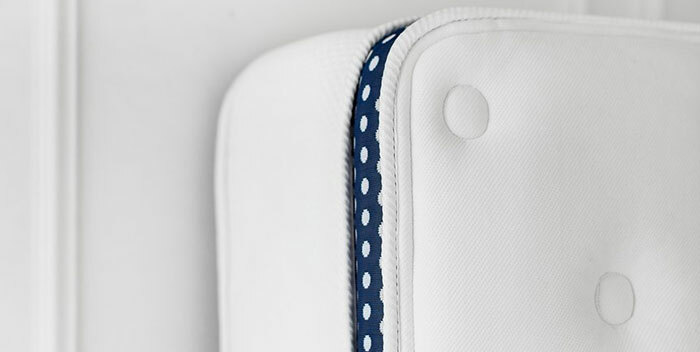 Cover: The whole mattress is contained within a zippered hand-sewn cover that can be removed for easy washing. The mattress is CertiPUR-US certificated, indicating that it is made without CFCs and other ozone depleters, and is free of phthalates and heavy metals such as cadmium, lead and mercury. There may be a chemical smell when the mattress is first installed, but that should disappear within a day or two. This is normal for foam mattresses. The Casper mattress is an ideal mattress for stomach sleepers. It comes with a 100-day sleep trial and a 10-year limited warranty. Its design provides a good level of softness and comfort above hips, which is ideal for a good stomach sleeper mattress. The denser transition foam from the hips down provides support for this part of your body, preventing it from sinking too much into the foam. This helps to relieve aches and pains caused by too little support for your pressure points. It is also ideal for side sleepers, absorbing shoulder pressure while supporting your hips. The open-cell top latex layer is designed to keep you cool. Heat is removed by both convection and conduction. The memory foam layer also helps to remove heat by means of enhanced airflow. Some users complain about the mattress being too firm for them. Most find it exactly what they wanted – so it raises the question whether or not the mattress is on the firm side. That should not be an issue for stomach sleepers, for whom this review is intended. Indentation is another issue with the Casper mattress. Again, this may be more of a problem for side sleepers where their most angular pressure points are compressing the foam. Stomach sleepers should not experience this because the weight of their body is spread over a larger area than somebody sleeping on their side where the weight is focused on a significantly smaller area. Editor’s Notes: The Casper mattress is ideal for stomach sleepers. It gets its position in the best mattress for stomach sleepers because of its construction. The mattress provides a combination of comfort for belly sleepers and support for the pelvic areas and the knees. 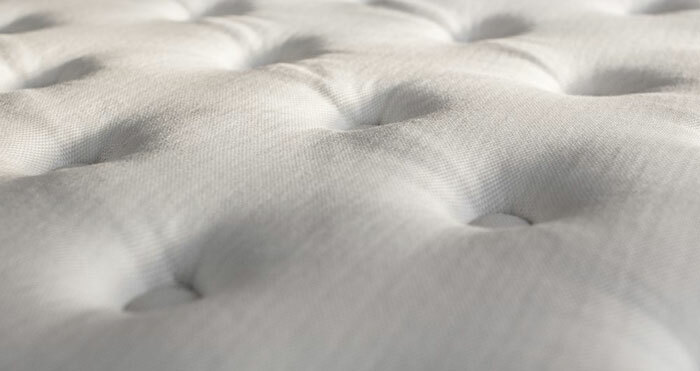 The Tuft & Needle mattress comprises just two layers of foam – both polyurethane. It is a responsive foam that gives with the pressure of your belly while supporting your chest and lower pressure points. It provides good support for stomach sleepers while allowing you to breathe normally without feeling resistance. 1. 3 Inches of a responsive polyurethane foam designed by the company to be breathable and also support your pressure points whether lying on your side, your back or your belly. It helps keep you cool during the night and helps you feel comfortable when lying on your front. 2. The other 7 inches of this 10-inch mattress comprises a high-density polyurethane foam. This helps keep your spine aligned correctly whether you lie on your back or your front. One of the advantages of this mattress is that it is suitable for sleepers in all positions. You may be a stomach sleeper, but perhaps your partner is not. This mattress meets the needs of you both, irrespective of how you sleep. Suitable for all types of a sleeper, although better than most for stomach sleepers. Good for people of all weights, from light to very heavy. If you are heavy and sleep on your stomach then this mattress would be a good choice. Its simple construction means that there is less that can go wrong. Perhaps slightly on the hard side (6.5 on a scale of 1 – 10). Not as bouncy as others for young couples. 100% polyurethane foam, so may not suit those that prefer latex or memory foam. Editor’s Notes: The Tuft & Needle mattress was not designed with belly sleepers in mind. Few are to be honest, although others are more suitable for front sleepers than others. It has reached out top 6 list of best mattress for stomach sleepers because it is well made and suits sleepers of all type – including stomach sleepers. It might particularly suit stomach sleepers that are heavier weight than average. The best mattress for stomach sleepers is not necessarily the best mattress for side sleepers or those that sleep on their back. Each of these three different types of the sleeper has his or her own needs. Stomach sleepers, front sleepers and belly sleepers are all the same thing, and they have their own specific needs from their mattress just like any other type of sleeper. If you sleep on your stomach you are one of the 15% – 18% of the population that does so. When you lie on your stomach, your spine tends to flex forward between your chest and your hips. This can lead to back and neck pain. You need a mattress that keeps your spine as straight as possible when you are sleeping. Here is how to choose a mattress that helps you in that way. Not too Soft: A soft mattress will not work for you. You need a firmer mattress than average, say around 6.0 – 6.5 on a 1 – 10 scale. This avoids your spine dropping in the center and forming a bow shape as explained above. Not too Hard: Too hard a mattress will put excess pressure on your stomach. It can also restrict your breathing as we explained earlier. Just Right: The ideal mattress for stomach sleepers is slightly harder than average – as we stated above, around 6.0 to 6.5 when 5.0 is average. Too hard or too soft can misalign your spine although your body shape may also have an influence on your choice. If you weight over 230 Lb you should look for a hardness rating of around 7 – 8, and below 140 lb, around 4 – 5. You need a mattress that does not put too much pressure on your chest but that supports your middle section to prevent your spine sagging in the middle, between your chest and pelvis. The mattresses we have selected above meet these criteria. When looking for the best mattress for stomach sleepers you should first of all check the hardness of the mattress. You should not choose the softest you can find, but a sleeping surface that is on the firm side of medium. Many people believe that belly sleepers are best with a soft mattress that does not put too much pressure on their stomach. That is not the case. Unless your stomach is properly supported, it will dip down into the mattress, forcing the middle of your spine down. This leads to issues with your spine that can be difficult to rectify. The six mattresses we review above help to prevent this from happening. Many mattress vendors offer warranties and typically 100-day sleep trials. For example “If you do not like your mattress, inform us within 100 days and we will collect it and provide a full refund”. Be sure to check this before buying, because many vendors do not apply this. 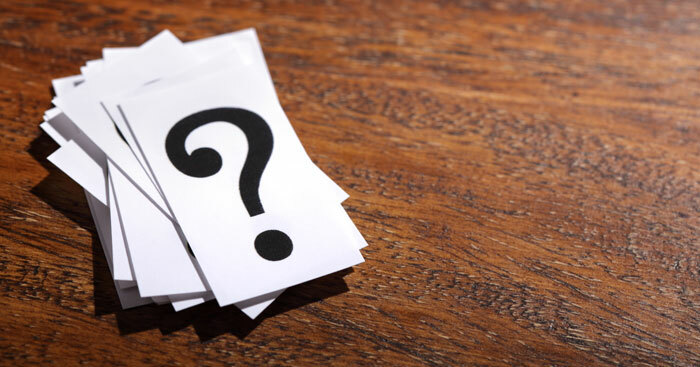 It may be the manufacturer’s policy but sometimes does not apply if you purchase your mattress from a third party vendor rather than from the manufacturer. 1. How do I protect my mattress? Your mattress is no different from most others. Some mattresses for stomach sleepers come with mattress cover already fitted. These can usually be removed for machine washing. If yours doesn’t have a cover, you can usually purchase one from your mattress vendor. If not there are many stores that stock elasticized covers for the common standard mattress sizes. You can also purchase mattress protectors if you feel that spillages or ‘accidents’ could happen. 2. Why do stomach sleepers need a firm mattress and not a softer one? You may think that a softer mattress would suit a belly sleeper better than a hard one – but no! When you lie out on a mattress on your stomach, a lot of the weight of your body lies in your abdominal area. It has no natural support like your chest has. If your belly region sinks down into a soft mattress, it might feel nice and comfortable, but your belly will be pulling your spine down with it. It is very important that your spine remains straight while you sleep. Should it bend, or bow downwards in the center, then you are likely to suffer severe back pain. Your spine must be kept straight! This means that the central part of your body has good support, and does not sag down below the level of your neck and the base of your spine. A mattress to the firm side of average will help your spine to stay level while also keeping your stomach properly supported with a high level of comfort. 3. Can a stomach sleeper use any hard mattress? Not really. The ideal hardness of a mattress for you would be slightly above average. As we stated above, on a scale of 1 -10, a suitable mattress would rate 6.0 – 6.5. This is slightly firm – firm enough to support your body without making in feel uncomfortable on your stomach, but also firm enough to hold your spine straight. Too hard a sleeping surface can put too much pressure on your body – there has to be some degree of ‘give’ but not so much that your spine drops down below straight. 4. 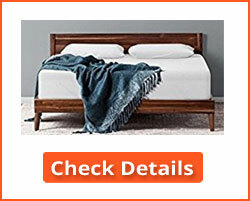 Does the thickness of the mattress matter? No, not all! It is the components of the mattress that make up that thickness that matters most. Each layer of a mattress is there for a reason and each plays its part in your comfort and support. If one mattress has four layers and another only two, it doesn’t mean the 2-layer mattress is inferior to the 4-layer alternative. 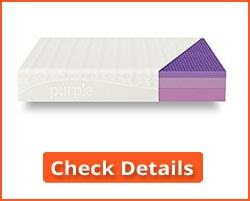 The 15.5 inch Winkbeds Mattress is rated below the 9.5 inch Purple Mattress in our chart. So don’t let the numbers fool you. Read the whole review! 5. Can the mattresses you have reviewed be used with an adjustable frame? Yes, they generally can but check with the vendor first. Some sizes may be more suitable than others. Obviously, the thicker the mattress, the less it is able to bend so the 9.5 inch mattresses are going to perform better than the 15.5 inch Winksbed Mattress. Check with the vendor – that is our advice. These are our top suggestions for the accolade of being the best mattress for stomach sleepers. The Helix Sleep mattress wins it for us, but each to his own. Any of these six mattresses should be good for a stomach sleeper. We cannot comment on which of the six would be your best stomach sleeper mattress. That is why we have presented this review – to allow you to make your own choice!